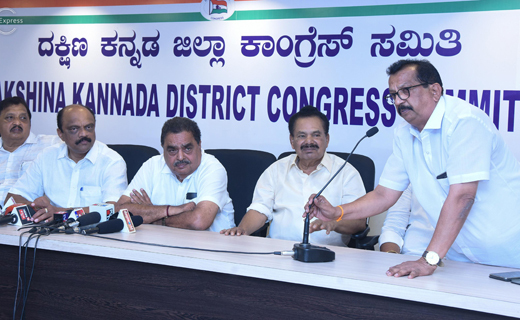 Mangaluru, Mar 24, 2019: District Congress President Harish Kumar has informed that a Joint Election Committee would be constituted by the Congress and JD(S) under the leadership of former minister B Ramanatha Rai to help the coalition chalk out winning strategies for the upcoming Lok Sabha election. 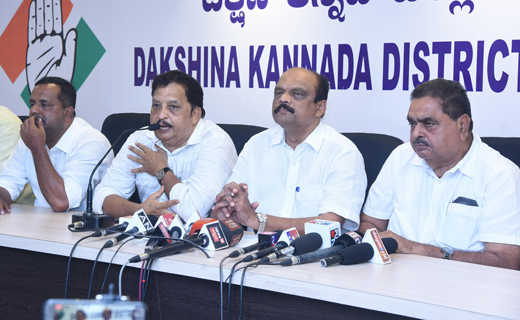 Addressing a joint press conference organised by the Congress and JD(S) District Presidents at the District Congress Office on March 24, Sunday, Harish Kumar said leaders and workers of both parties would jointly convene meetings and conventions as well as poll campaign. "Defeating the BJP candidate Nalin Kumar Kateel is our aim, We will wrest the constituency from the hands of the BJP," he said. Pointing out that the high command has given scope for a youth leader Mithun Rai to contest the elections, Harish Kumar said Mithun will file his nomination after a joint convention of workers of coalition partners at Town Hall on March 25, Monday at 10. 30 am. 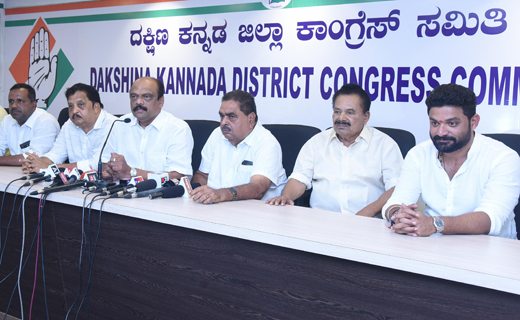 Candidate and District Youth Congress Chief Mithun Rai, DK District in-charge Minister U T Khader, former minister Ramanatha Rai, JD(S) leader MB Sadashiva, MLC Ivan D’Souza, former MLA Moidin Bava and others were present.